5" Heel and 1/2" hidden Platform. 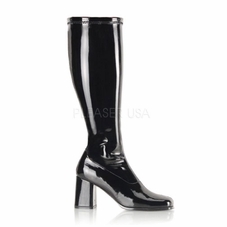 Boot has a side zipper. . Rubber Sole. Padded foot bed. 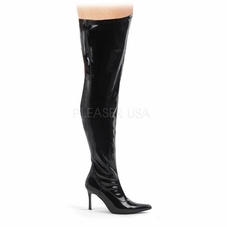 Measures 26 1/2" from bottom of heel to top of the Thigh Boot.